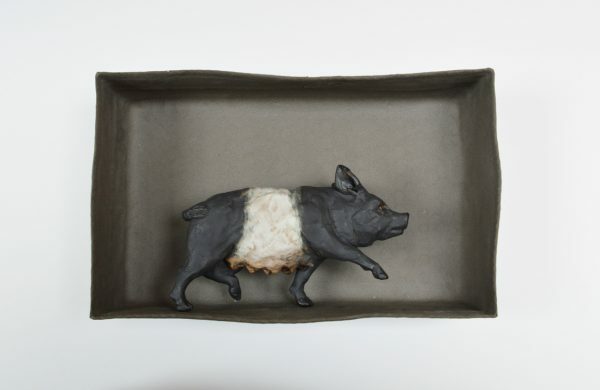 Animals have always been the main source of inspiration for Marieke’s work. The differing ways that humans relate to animals are of particular interest to her. Rather than introducing a human figure to the form of the animal, she prefers to imply more subtle human association; in this case a box made of clay, thin, almost like cardboard, evoking the association of something human made. As well as providing a human context from which to view the animal, the box provides a focus.